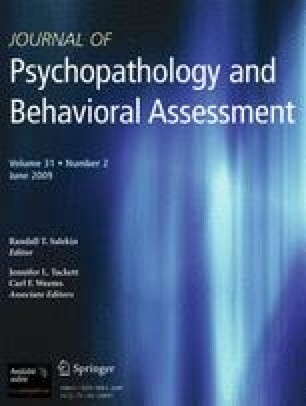 The present study describes Personality Assessment Inventory (PAI) profiles for women with posttraumatic stress disorder (PTSD). Four groups of women were sampled: single Axis I diagnosis of PTSD; PTSD and major depressive disorder (MDD); PTSD, MDD, at least one other Axis I disorder; and controls with no Axis I disorder. Higher comorbidity rates were associated with higher mean profile elevations and broader range of endorsed symptoms. The group with the highest rate of comorbidity produced profiles most similar to previously published reports of patients with PTSD. This is in contrast to women with a single diagnosis of PTSD, who produced relative mean elevations only on subscales measuring distress caused by trauma and physiological symptoms of depression. Thus, published profiles may be more reflective of PTSD with comorbidity than a single diagnosis of PTSD. Preparation of this manuscript was supported by R01MH62482, K24DA016388, 2R01CA081595, R21DA019704, and Veterans Affairs Merit Award MH-0018. The views expressed in this presentation are those of the authors and do not necessarily represent the views of the NIH or Department of Veterans Affairs.